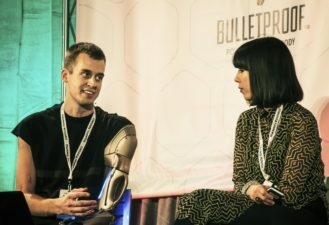 BodyHacking Con isn’t just about implantable technology, it’s about anything you can do to your body to be your more ideal self. However a bodyhacker decides to physically alter or improve their mind or body, there’s always more to discover, learn, teach, synthesize, and celebrate. 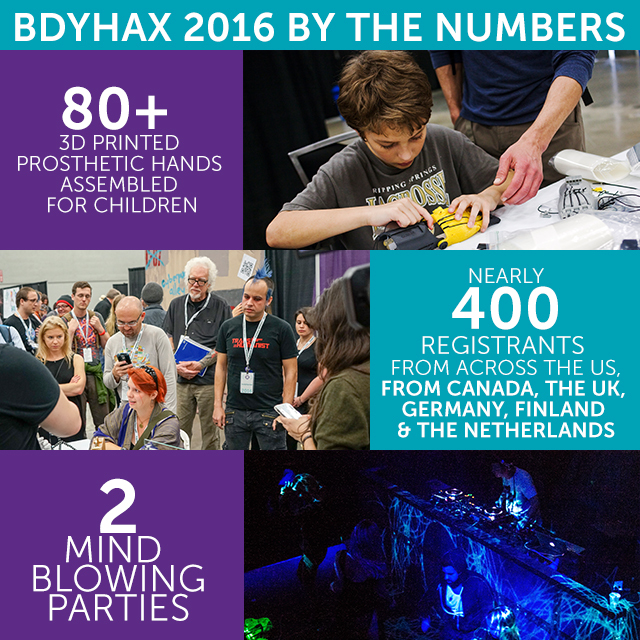 In 2016, our aim was to make BDYHAX the place where all that happened. It turned out, people liked the idea. Our inaugural year was incredible.  Registrants from all around the world combined hundreds of curious bodyhackers to form a Voltron-esque amalgamation of excellent talks, parties, panels, and meetups that we were proud to have been a part of. Whether you were there to check out James Young’s prosthetic arm inspired by Metal Gear Solid, wanted to get an NFC or RFID chip implant by Amal Graafstra, got to try out the glasses changing the way the colorblind see by EnChroma, or just wanted to revel in what others were doing- BodyHacking Con was the place to be. It was a fantastic combination of people coming together to share ideas and broaden how we see ourselves & the limits within technology & society. 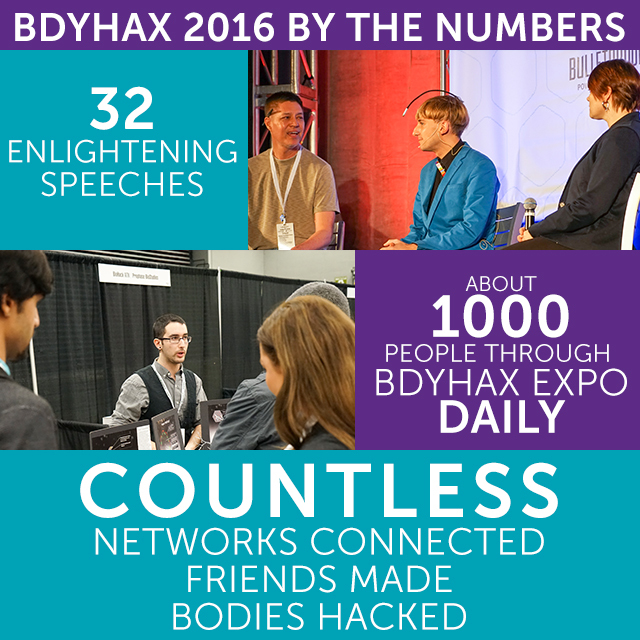 Read on to see our reach, recap on the topics & speakers, and check out the media born out of the BodyHacking Con. If you didn’t get an opportunity to get your feedback in before the survey was closed, email us at info@bodyhackingcon.com. We always want to hear from you. 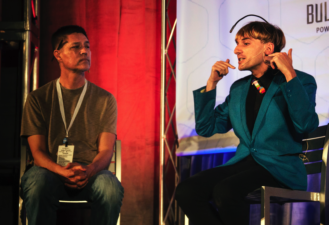 Neil Harbisson & Richard MacKinnon during the "Cyborg Pride & Identity" panel. 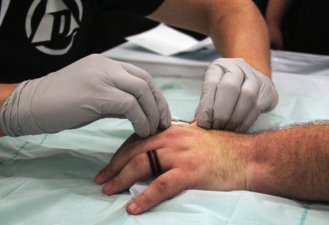 Amal Graafstra injecting an attendee with a RFID chip.